In recognition of his longstanding contribution to the live performance industry, Live Performance Australia (LPA) is honoured to announce Australian music icon, Paul Kelly as the recipient of this year’s JC Williamson Award®. 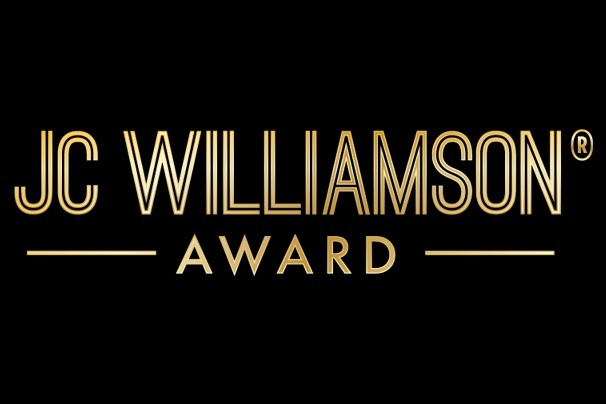 The JC Williamson Award® is bestowed on an individual who has made a truly outstanding contribution to the enrichment of the Australian live entertainment and performing arts culture and shaped the future of the industry for the better. Mr Kelly will be presented with the JC Williamson Award® honouring his extraordinary career at the 15th annual Helpmann Awards Ceremony to be held at Sydney’s Capitol Theatre on Monday 27 July. LPA Chief Executive, Evelyn Richardson acknowledged Mr Kelly’s formidable reputation as a performer who transcends boundaries as a source of inspiration for not only musicians, but the broader live performance industry. “Mr Kelly’s prolific career is extensive and reflects his passion and commitment to creating, performing, and producing music over more than three decades,” said Ms Richardson. “During the past 35 years, Mr Kelly has come to be recognised and respected as one of Australia’s most accomplished songwriters and performers, with many of his songs now lodged deeply into the Australian psyche. “His commitment to mentoring and supporting younger artists is legendary as is his engagement with Aboriginal and Torres Strait Islander musicians and communities. “He has been lauded as a poet and storyteller who captures the essence of what it is to live in this country with all its complexities and foibles. Mr Kelly’s influential career spans more than 35 years and includes twenty recorded studio albums as well as several film soundtracks, two live albums, and a critically acclaimed memoir. Mr Kelly said he was honoured to be the recipient of this year’s prestigious JC Williamson Award®. “Live performance is the crucible, the nitty gritty, where you make mistakes and find the stuff that works. So this is an important award to be a part of. Thank you to all involved,” said Mr Kelly. NSW Minister for Trade, Tourism and Major Events, Stuart Ayres congratulated Mr Kelly on receiving such a prestigious award. “Mr Kelly is a great Australian talent and a deserving recipient of the JC Williamson Award®. He has made an enormous contribution to the local music landscape over the past 35 years, and I am pleased to see he will be recognised at this year’s Helpmann Awards in Sydney,” said Mr Ayres. Mr Kelly joins the ranks of previous JC Williamson Award® recipients, including such iconic figures as Dame Joan Sutherland OM AC DBE, Barry Humphries AO CBE, Michael Gudinski AM, John Farnham AO, Kylie Minogue OBE, and Graeme Murphy AM. The JC Williamson Award® is proudly supported by Foxtel’s newly launched channel, Foxtel Arts, a high definition channel dedicated to arts, artists and a diverse heritage of creative expression. The Helpmann Awards Ceremony, including the presentation of the JC Williamson Award® to Mr Kelly, will be broadcast live on Foxtel Arts, Monday 27 July at 7.30 pm.